There are certain useful - indeed, indispensable - accessories that an aquarist always needs at hand for everyday chores or the upkeep of the aquarium: a tool kit, in fact. Absolutely essential. An alcohol thermometer, colored blue or red, is sufficiently precise, although variations of more than 1°C can be recorded between different thermometers. Although mercury thermometers are more precise, they are also a little more difficult to read. Whatever model is used, the thermometer is put into the water, away from the source of heating, to avoid being directly affected by its warmth. It can be attached to a weight, wedged into rocks, or stuck with a suction pad. 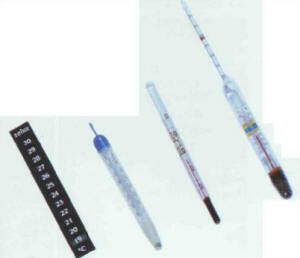 Various models of thermometers are available, some in conjunction with a density meter. Not all have the same degree of precision. 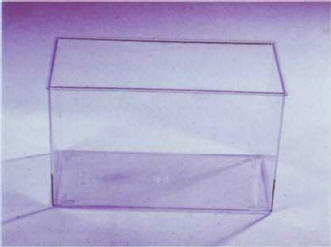 External thermometers with liquid crystals have failed to convince most aquarists, as their precision is not reliable. We have already discussed this, but it must be stressed that it is a vital instrument for monitoring the density of sea water, i.e. the salt content. Several brands of simple tests, used to analyze water, are on the market. They generally work on the basis of a change in the color of the water, which must be compared with a scale printed on the packaging. They are sold separately or in complete kits, although it is possible to restock a basic product when it runs out, without having to buy the whole kit again. Four tests are more or less obligatory in fresh water: general hardness (GH), carbonate hardness (CH), nitrites, and pH. The last three are equally indispensable in sea water. There are other parameters that can also be monitored by small pieces of analysis equipment: nitrates, ammonia, oxygen, carbon dioxide, iron, and calcium (for marine invertebrate aquariums). These are obviously absolutely essential for catching moving animals. The size of the latter dictates the size of the net, along with the space available for handling it. 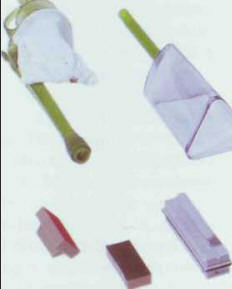 Choose a small net for small fish or aquariums with elaborate decor. The size of a landing net depends not only on that of the fish being caught but also on the space available in the aquarium for handling it. 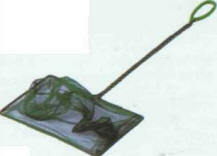 However, it is not easy to catch fish in a landing net. Aquarists will almost invariably tell you: as soon as you want to catch a particular fish, it seems to see you coming! Once the net is put the water, pandemonium breaks loose, with foreseeable consequences: wounded animals and the decor, both vegetable and inert, turn topsy-turvy. One simple trick consists of putting the net into the tank at night, before switching off the lights. The fish will get used to its presence, and so it will be easier to catch the following morning, when you switch the lights back on. 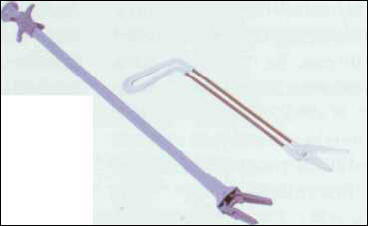 Magnets to clean the panes and vacuum cleaners connected to an air pump are commonplace instruments for tank maintenance. Another possibility is the use of two nets, with one remaining stationary to receive the fish being pushed forward by the second. Landing nets must be disinfected regularly with bleach (particularly after handling sick fish), and then rinsed several times. a notebook enabling you to keep track of certain tasks: purchase dates for fish, results of the analysis of water, maintenance schedule, etc. Garden pincers are very practical in deeper tanks. The latter is particularly recommended for beginners, and also allows them to record their personal observations on reproduction, sickness and the general behavior of their fish. A fully equipped aquarium quickly accumulates electric cables and pipes for air and water and these have an irritating tendency to get mixed up, meaning that it is sometimes difficult to find the right socket, or the pipe that needs to be disconnected. To find them more easily, just stick a self-adhesive label at each end of a cable or pipe and write on it the name of the corresponding element. 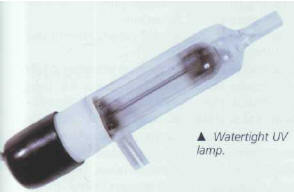 In the case of aeration, for example, a first label near the pump indicates which diffusers it is feeding, while a second just before the point where the pipes enter the aquarium makes it easier to locate the diffusers in question. Small plastic tanks sometimes prove useful for maintenance operations, or for providing a temporary home for plants and fish when an aquarium is being repaired. ОПИСАНИЕ , функция научного исследования, состоящая в фиксировании результатов опыта (эксперимента или наблюдения) с помощью определенных систем обозначения, принятых в науке.